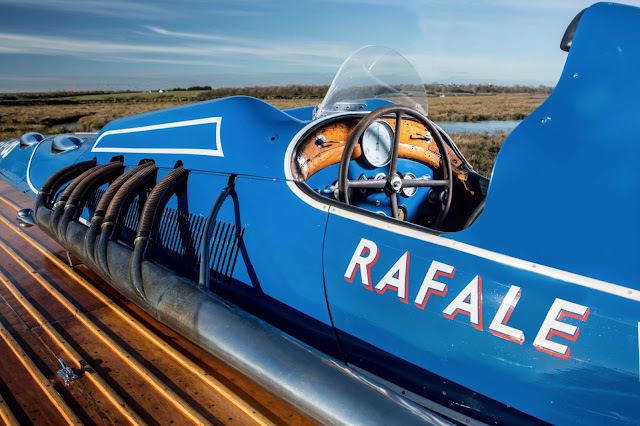 the largest single-engine racing boat built in France in the" unlimited "class was handbuilt by the Chauvière boatyard at Vitry-sur-Seine with a strong double-diagonal mahogany planked hull using thousands of countersunk copper rivets. 2,196 cubic inches - 36 liters - and powered by six Hispano twin-barrel carburetors. I read 85% of water speed record attempts end in death.